Tokyo Shop Style (VIDEO HEAVY) - silence_ - Blog. Japan is home to a variety of styles influence by the styles present from all over the world. You may think that most of these styles are silly or outlandish, but there is method to their madness. And in the end, designers, fashion enthusiasts, shoppers, from all over the world visit Japan to catch a hint of inspiration, to get their hands on these unique and interesting designs . In japan, the shop staff workers wear the clothing found in the stores they work at usually. They work hard to perfect their makeup, coordinates, hairstyle, and skin, so that people will be more willing to shop there, since they get a glimpse of how good the style may look on them. The workers become very close with each other and are very helpful to shoppers, teaching them what would look good together, what would suit them the best, and other reccomendations. Dolly kei is a fashion in japan focused around vintage, folk styles. 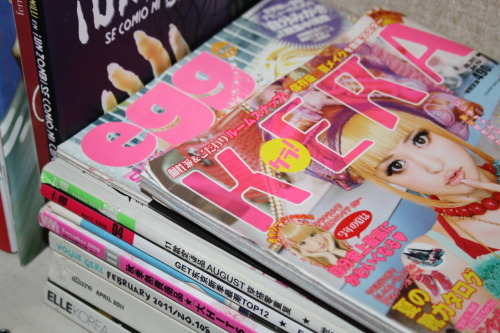 There are still many more styles in japan, including, Fairy Kei, Cult Party Kei ,Decora, and so on. Unfortunately, there exists no videos (yet) allowing us to have a small peek inside their stores. Thank you for looking at this blog, stay tuned for the next blog which will show how you can order some of the fashions shown her from japan and have them shipped to you. Also, afterwards, we'll delve into a new style, called Pastel Goth and see the controversy behind it .